When America experienced a big recession in the early 1980s, downriver Detroit experienced a depression because this blue-collar community was dependent on the auto industry and other related businesses. Growing up in this community, as a pastor’s kid, we would experience the generosity of thankful believers during the holidays. My father told us not to expect much that Christmas due to the financial struggles of our members. I remember a man, who ran a catering business, rang the doorbell one night and gave my parents a box of fruit. He apologized that that was all he could give this year. My parents told him thank you and said not to apologize because his gift was from the heart. By the end of the holidays we had experienced such an outpouring of love through homemade cookie plates, pies or homespun crafts. These gifts showed that we were loved, people cared and it was a real sacrifice. This year our community is hurting from the hardships caused by Hurricane Harvey. You might be feeling the financial pinch from trying to get your homes back, or from helping others get their homes back. 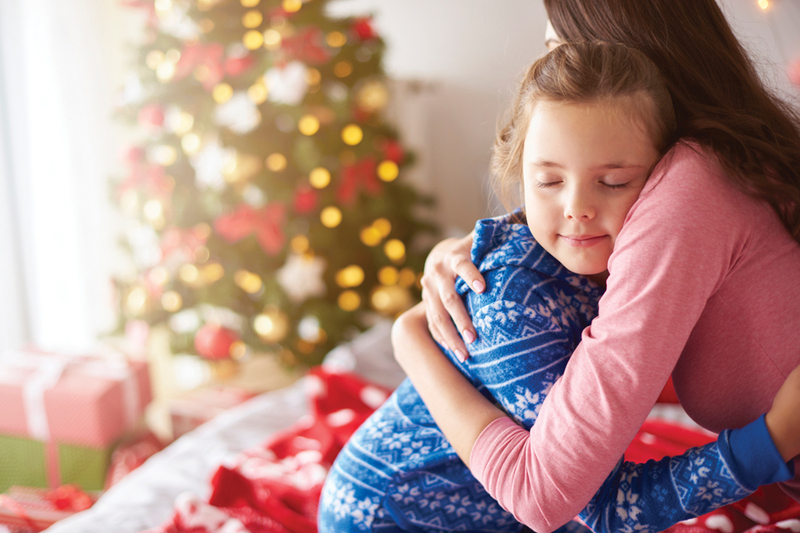 You might be feeling the stress of hardships during the holidays. You might be feeling that this Christmas it is just not going to be the most wonderful time of the year. We shouldn’t be surprised that hardships happen around the Holidays because the very first Christmas was full of hardship and oppression. Christmas is the celebration of the birth of Jesus Christ. It was a hard first Christmas for Jesus who was born in a barn because there was no room in the Inn. Why was there no room? Everyone had to report to their hometowns to pay taxes to the foreign occupation by the Roman Empire. The Bethlehem Holiday Inn was over capacity (Luke 2). It was a hard first Christmas for Mary who had to travel from Nazareth to Bethlehem while nine months pregnant (Luke 2). It was a hard first Christmas for Joseph, who had just faced public disgrace for marrying a pregnant woman and then escaped to Egypt under murder threats (Matthew 2). It was a hard first Christmas for God, the Father, who gave up God, the Son, so that Jesus could save the world (John 3:16). But that is what Christmas is all about. Showing love through the hardships. One of my favorite verses to share this fall has been John 16:33. Jesus said, “In this world you will have trouble, but take heart, I have overcome this world!” He overcame our hardships caused by our problems, sins and struggles by giving his life as payment on the cross. He rose from the dead to guarantee deliverance for all who put their trust in Him. This is why he was born. This is why we can show love through the hardships of the holidays. So I encourage you to give from the heart this Christmas. Just show your love and don’t worry about living up to other Christmases. Let this Christmas live in how you love, who you love and when you love. That’s what God did and that’s why we call it Christmas!